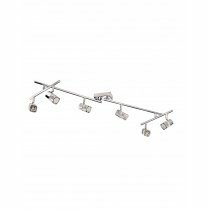 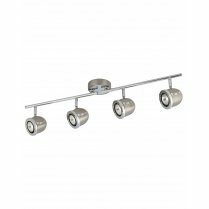 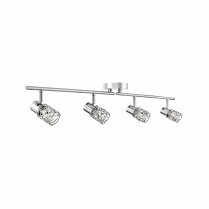 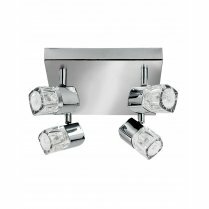 Searchlight's Palmer 3 Light Ceiling Spotlight fitting combines chrome and satin silver, giving you a stylish and modern lighting solution. 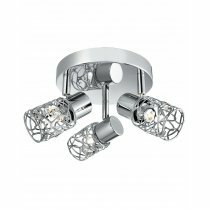 The 3 halogen bulbs sit flush within the domed adjustable spotlight head, directing a bright beam of light down into your room. 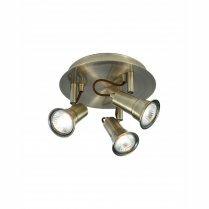 The Palmer comes with 3 x 50W halogen bulbs and is suitable for use with low energy GU10 LED's  perfect for illuminating a busy kitchen area. 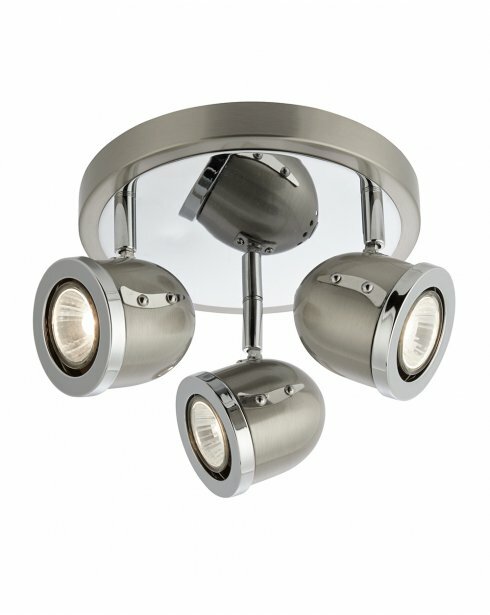 Larger 4 & 6 light fittings and a single light wall fitting are also available in the Palmer range.